Looking for a blushing bride in white? At Style 360's Pantene Bridal Couture Week, you would have seen every other color of the rainbow instead. 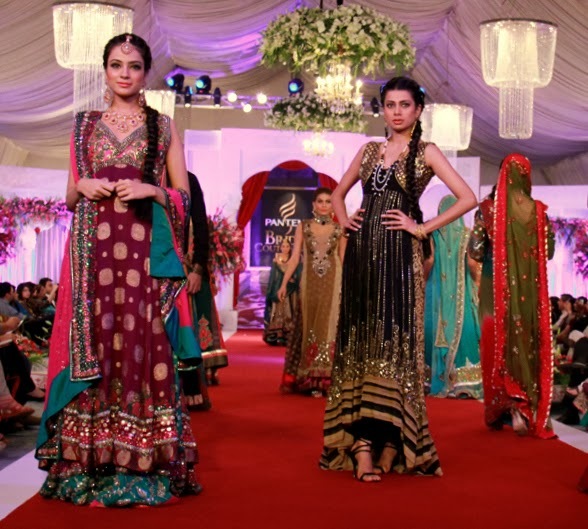 Taking place in Lahore, Pakistan, the 3 day festival was a celebration of wedding style, fashion, hair, beauty and entertainment. The fashion runway, or "ramp" as it was referred to, showcased established and up-and-coming designers. Make-up and hair trends were exhibited and around 50 models walked the catwalk. 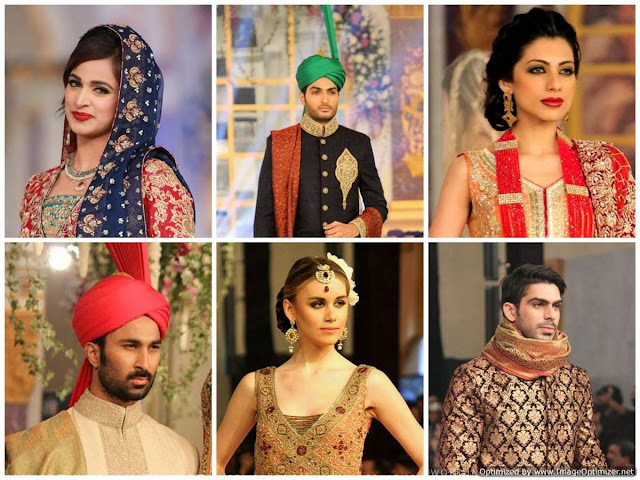 Bridal couture is not the endless sea of white gowns and black tuxedos on this side of the world. The fashions here were made from richly colored, luxurious fabrics that were meticulously hand-embellished with jewels, precious metals and beading. Designers like Mehdi, Uzma Baber and Zahid Khan bridged traditional artisan techniques with modern silhouettes and styling. The audience was made up from the country's elite in fashion, arts and entertainment. The overall effect was simply regal. I wonder where couples like register for gifts? Learn more about the designers at the Bridal Couture Week website.